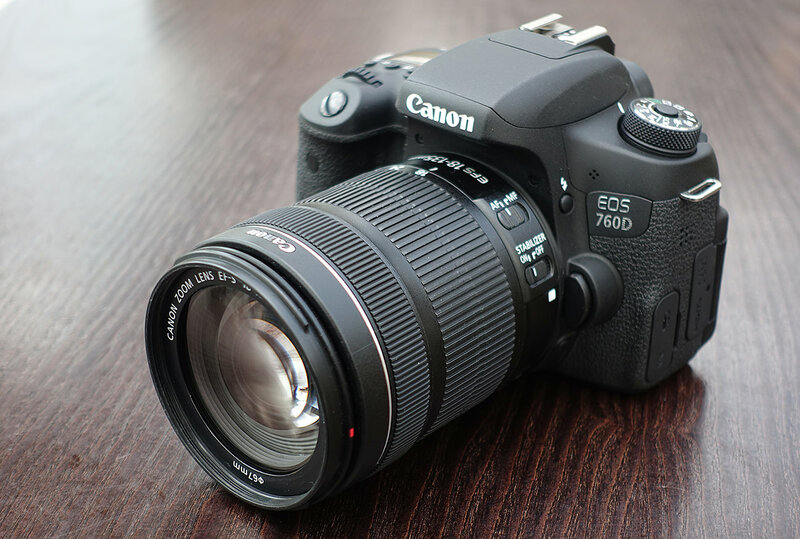 Reviewed, the Canon EOS 760D, the top of the range entry-level Digital SLR with a top LCD screen and improved controls. The Canon EOS 760D (and 750D) are this year's update to the two-year-old Canon EOS 700D, with a new 24.2 megapixel APS-C CMOS sensor, along with built-in Wi-Fi and NFC. 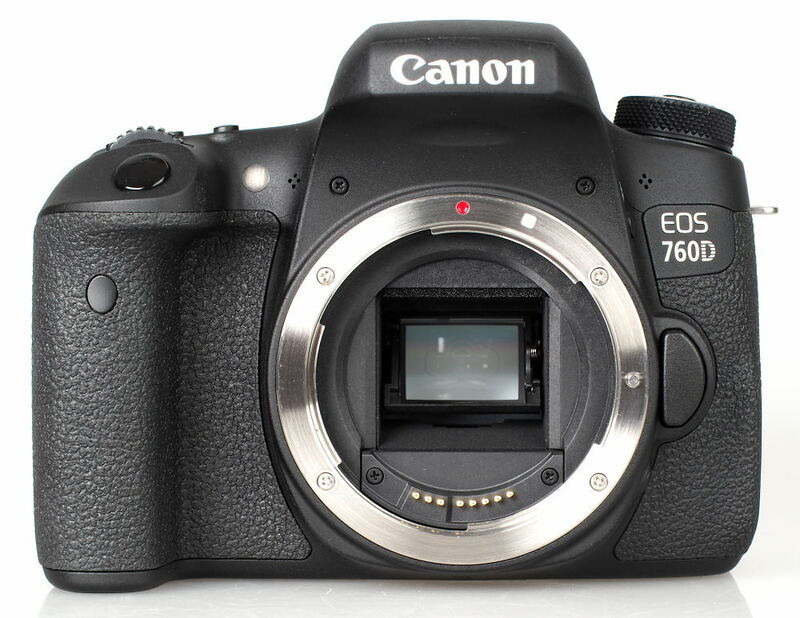 The 24 megapixel 760D is the first upgrade to the sensor of this camera series since the 18 megapixel 550D was first introduced in February 2010. The Canon EOS 760D (also known as the Canon EOS Rebel T6s) features a new 24.2 megapixel APS-C CMOS sensor, with a traditional 19-point phase-detection AF system, an improvement over the 9-point AF system found in the Canon EOS 700D, and Hybrid CMOS AF III for live view and video recording. Whilst not up there with the 39 focus points found in the Nikon D5500, it is more than the 11 focus points found on the Pentax K-S2. Canon develop their own sensors for Canon EOS APS-C cameras, as the sensor has a 1.6x crop factor, compared to 1.5x crop in Nikon/Sony/Pentax cameras, which means to get the same resolution sensor they use a smaller pixel size. If they simply used the same sensors as Sony etc, then the resolution would be smaller as the crop factor is different, and EF-S lenses wouldn't cover the same size sensor. This is the first 24.2 megapixel APS-C sensor in Canon EOS cameras, and is found in the EOS M3, 760D, as well as the 750D, and is an upgrade over the 18mp sensor found in the Canon EOS 700D. The 3 inch vari-angle touchscreen features the same resolution (1040K dots) as the 700D, and the optical viewfinder gives 95% coverage (0.82x magnification) of what you are photographing, and for a larger view you would need to look at the 70D with 98% coverage (0.95x magnification), or the 7D Mark II with 100% coverage (1x magnification). 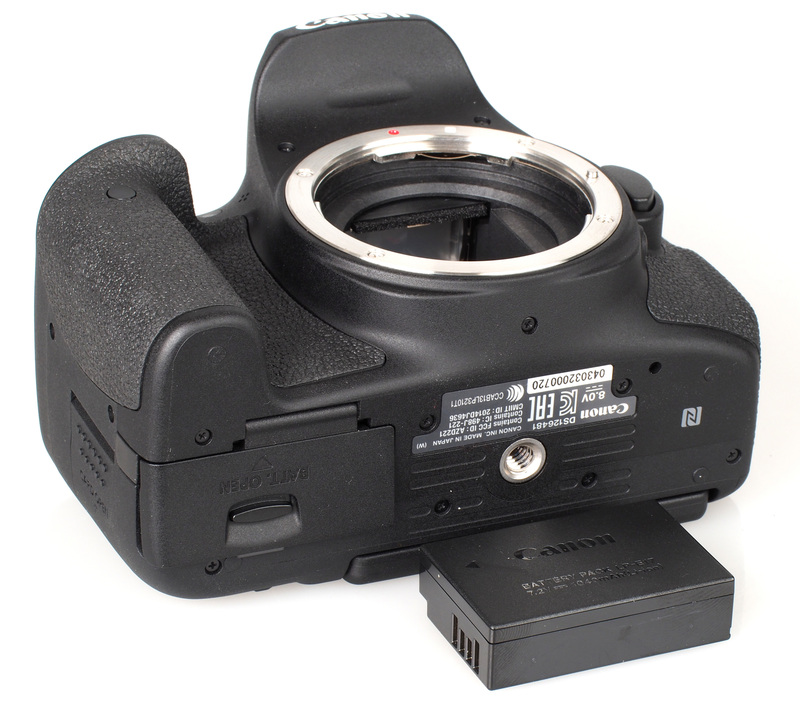 The 760D viewfinder is on a par with the Nikon D5500 with 95% coverage and 0.82x magnification, but does not match the large optical viewfinder found in the Pentax K-S2, which has 100% coverage and 0.95x magnification. Numerous Auto, Scene, and Creative shooting modes make it easy for a beginner to take creative and stylish shots, as well as full manual controls and a top LCD panel for more advanced photographers. 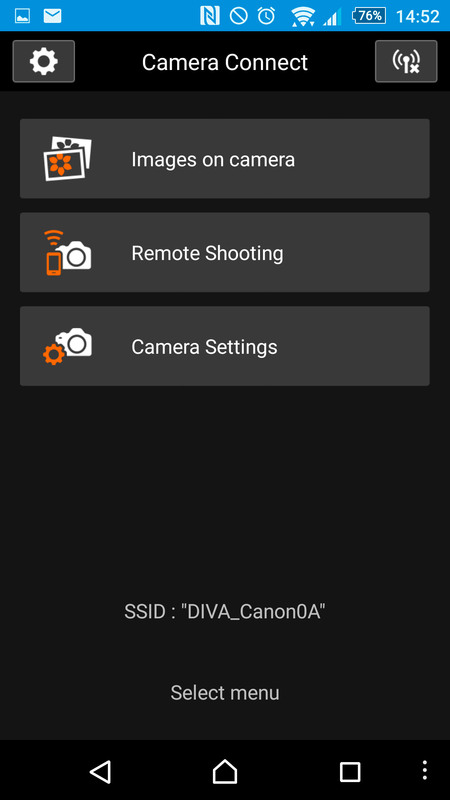 Built-in Wi-Fi and NFC makes it easy to connect to smartphones and tablets, and the app, Canon Camera Connect, is available for Android and iOS devices. 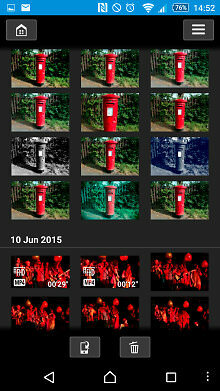 A Canon EOS Companion app explains camera settings, and is split into different areas starting with the basics of photography in the 'Learn' section, followed by the 'Explore' section where you can get to know your camera and settings, then 'Inspire' which is designed to take you further into photography once you've got more familiar with your camera. The app is also available for Android and iOS devices. 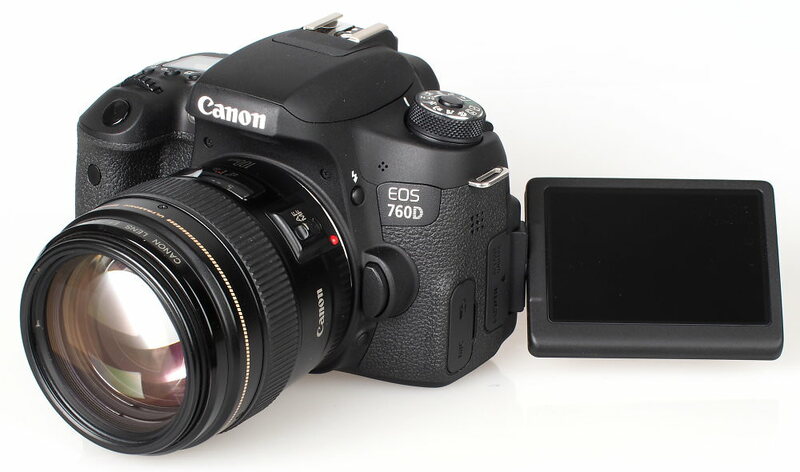 The Canon EOS 760D / Rebel T6s records fullHD video (1080p at 25fps) with stereo sound, and there is a microphone socket on the side for those that want to record higher quality audio, with settings to let you change the microphone volume. The Canon EOS 760D feels well built with a solid plastic body, with numerous rubber grips providing a good area to hold on to. There is a good grip on the left of the camera, and a recessed grip for your thumb. 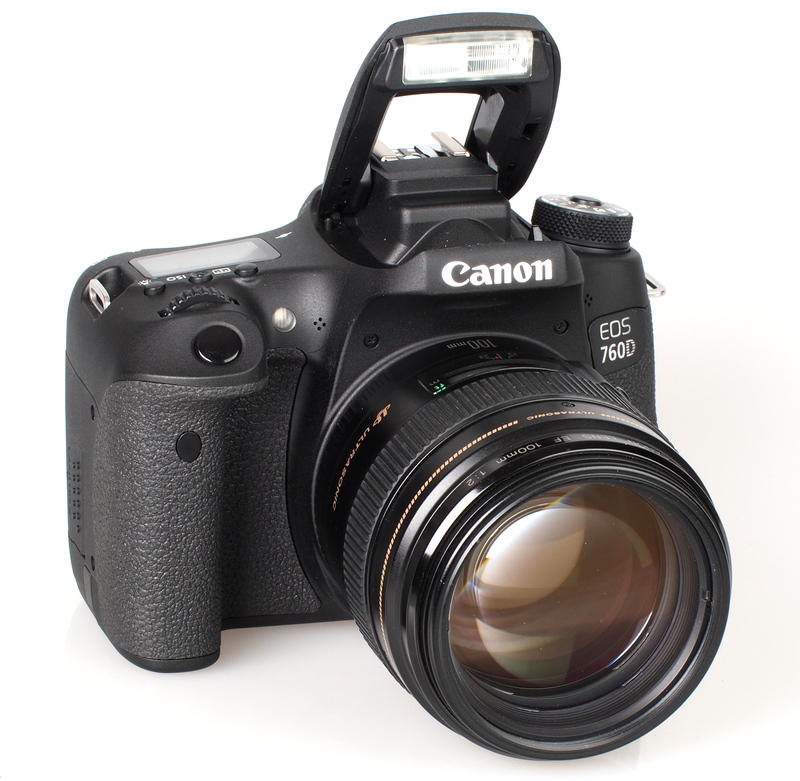 The camera is slightly lighter than the 700D, however roughly the same size, give or take a few mm. The addition of the locking mode dial as well as the top LCD panel gives the camera a more professional look and feel. The top LCD display can be illuminated by pressing the light button on the top. Additional buttons on the top of the camera give quick access to settings, and the eye detection sensor above the viewfinder will switch the rear screen off when the camera is held up to your eye. 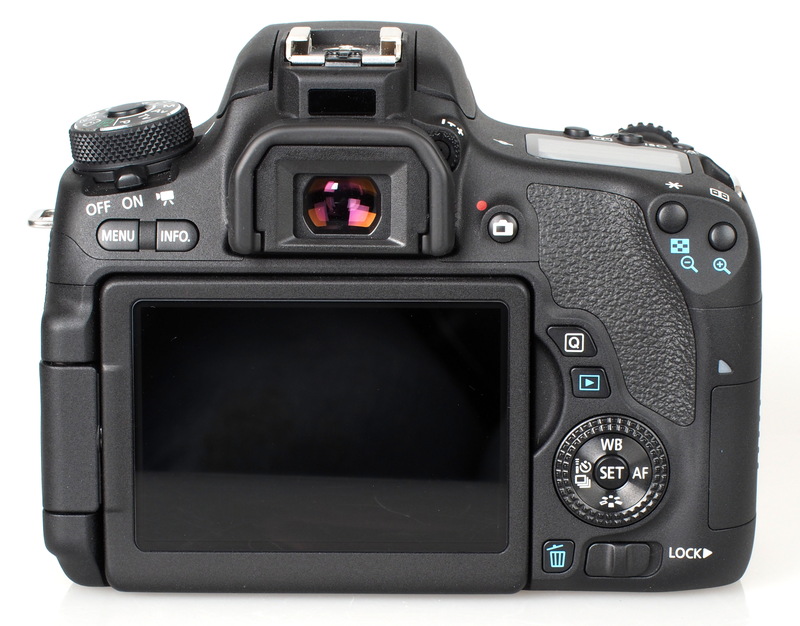 The buttons on the back of the camera haven't changed much since the 700D / 750D, however there is now a scroll wheel, which will set the exposure compensation when in the relevant modes, or change the aperture in manual mode. This has a lock switch underneath it in case you don't want to change settings accidentally. The video mode is easy to access as it's on the On/Off switch. The memory card compartment is also easy to access, as it's on the side. On the other side is the external mic socket, remote, A/V out / Digital, HDMI, Flash button and depth-of-field preview buttons. The are 19 focus points, that are fairly central, and the focus system has an AF working range of -0.5 to 18 EV (at 23°C & ISO100). In live view the focus point can be set from a much wider area, using the touch-screen if wanted. The optical viewfinder gives 95% coverage with 0.82x magnification, with Dioptre correction. It's possible to view the electronic level in the optical viewfinder (OVF), and the eye detection sensor can be found above the OVF. Menus – Using the Q button on the back of the camera, in combination with the touch screen it's quick and easy to change settings so that you don't always have to enter the menu system. However, if you do, thankfully Canon has a logical and well laid out menu system, allowing you to change additional settings and options, and the large number of buttons on the camera mean you can change settings quickly without always entering the menus. The menus are colour coded, with the shooting menus red, playback menus blue, setup amber, and "my menu" is green. The "my menu" allows you to customise the options onto one page, so that you can quickly access your favourite settings. The menu system is easy to use and can be navigated easily and quickly using the touch screen. The menus also feature built-in help. 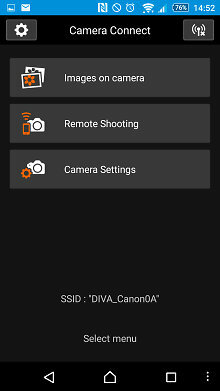 Wi-Fi features - Using Canon Camera Connect you can quickly and easily setup a connection to your smartphone or tablet. Built in NFC can be used with a smartphone or tablet with NFC, and this makes it easy to set up the connection by simply touching the two devices together. With the NFC connection point underneath the camera, it feels a little like it's been added as an afterthought. 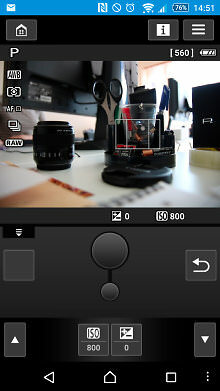 Remote shooting lets you set a number of camera settings, and images on camera let you transfer photos to your device. You can also set the camera's time based on your smartphone or tablet time. 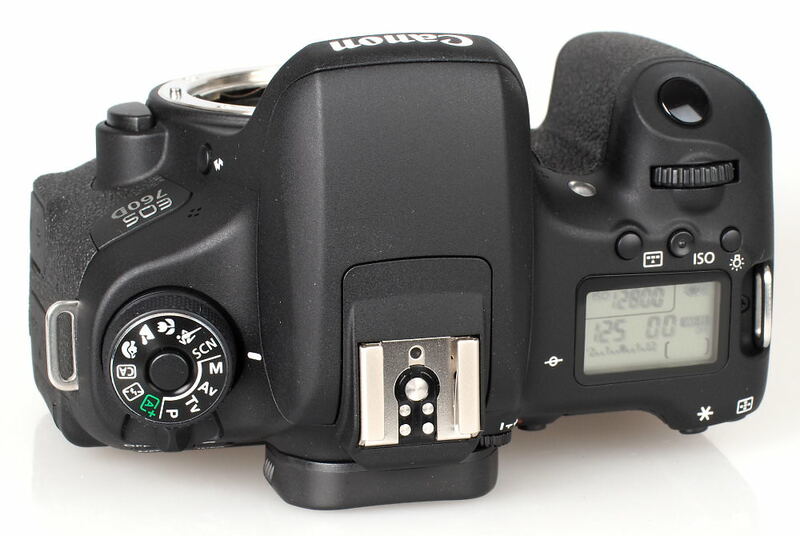 Battery life - The Canon EOS 760D is introduced with a new battery, the LP-E17, so the camera will not accept the same battery as that found in the 700D (the LP-E8). Battery life is rated at 440 shots according to Canon / CIPA test results, which is the same as the 700D it replaces, and is better than most mirrorless cameras, but much less than the 820 shots offered by the D5500. 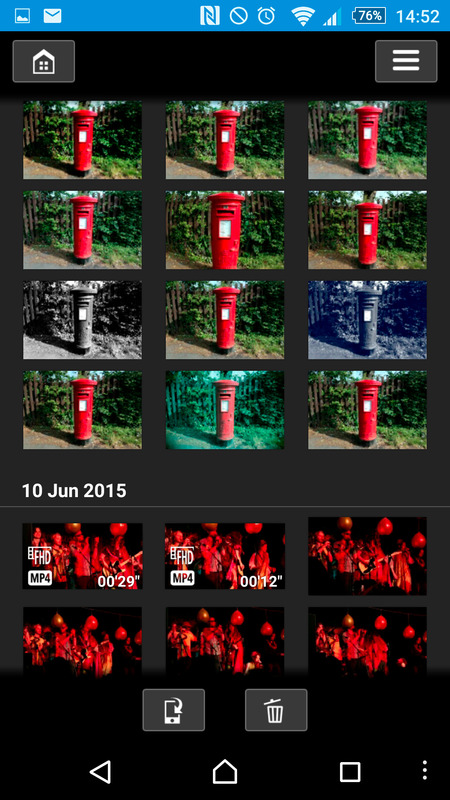 I do think Canon are doing more harm than good with releasing two versions of the same camera. They are too similar and the price difference between them is too small. above most other cameras I've looked at in the EPZ reviews !!!! lettering around the lens of the Panasonic FX1 compact, & lovely smooth tones in it's red body ! !....very impressive !! If ever a camera fired up my enthusiasm to upgrade, then it has to be this corker !! !......& I want one !!!!!!!!!!!! !.